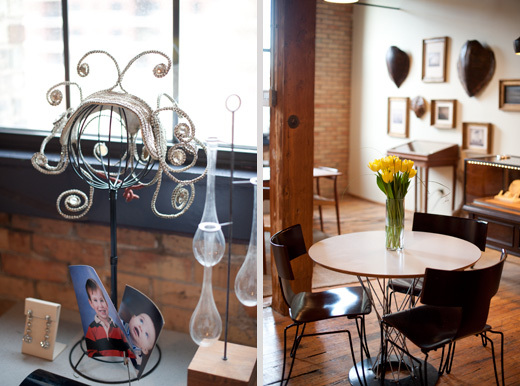 Brent and Catherine, the co-owners of Filigree, are a vibrant and vivacious couple and their Minneapolis studio in the heart of the Warehouse District is super swank! 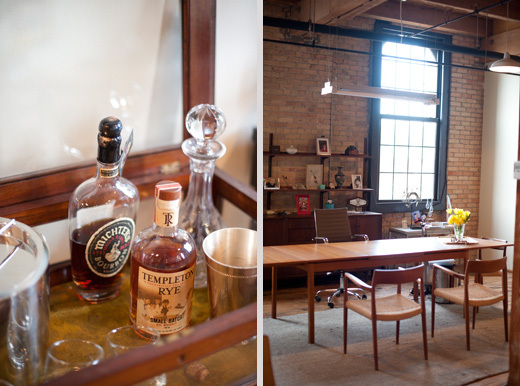 The new gallery space Public Functionary often supplies them with artwork that they feature on their walls as well. I would love to hang out with them again and hear more about all of their amazing adventures! Catherine’s father has been in the jewelry business for over 50 years and still has his shop in San Francisco. Growing up, Catherine found the idea of going to Estates and looking at jewelery boring. However, certain circumstances led her in her early 20’s to work with her father in his shop and she found a new love for working with antique jewelery. 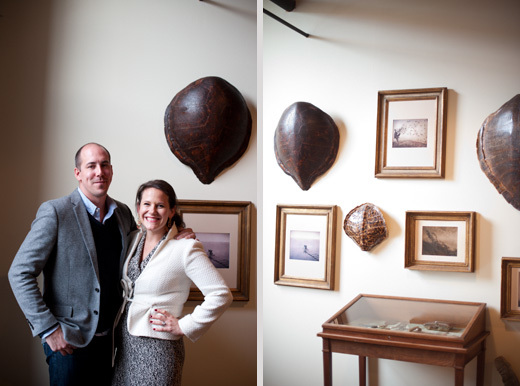 She and Brent met through college friends and in 2004, opened their own shop in the La Jolla California beach community. In 2008, they decided they wanted to focus more on their family. 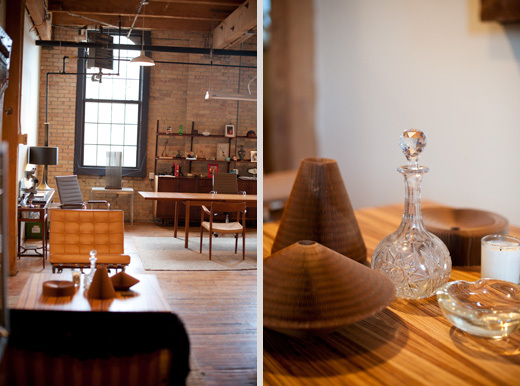 Brent was originally from Minnesota, so they decided to move back and bring their love of one of a kind antique engagement rings to Minneapolis. Catherine’s favorite style’s are from the Edwardian and Art Deco periods; anything from 1900-1940. Antique’s are simply made better then the mass produced rings you will find at a regular jewelry shop. And if you want a one of a kind ring that no one else will have, Filigree is the place to go! 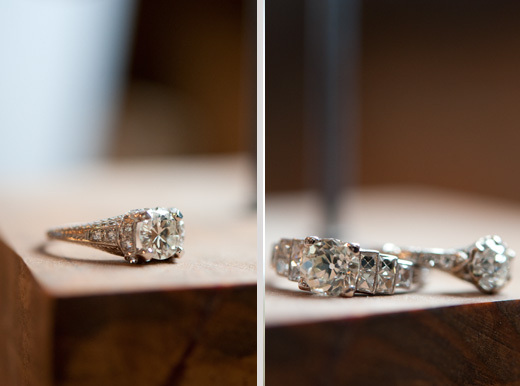 They have the largest selection of antique engagement rings in Minnesota. And they are so beautiful! 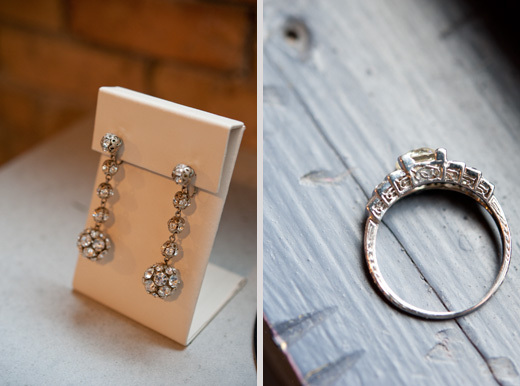 My own engagement ring is an antique, so I have a special attraction to these rings myself! I also noticed that Brent and Catherine have a love for mid-century furniture and a fabulous art collection of their own. 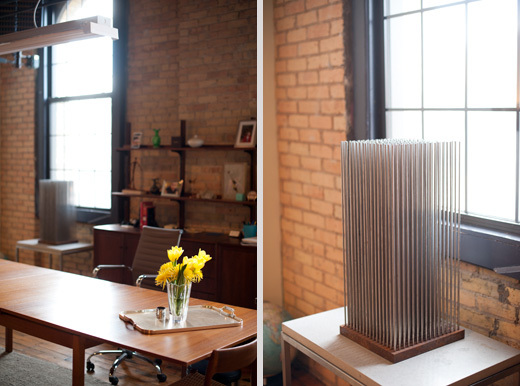 And, yes, this funky sculpture below is a piece by Harry Bertoia! I was super excited to discover this while I was taking photos. Harry Bertoia attended Cranbrook Academy of Art (where I went to grad-school much later) in the 30’s. He is well known for his sound sculptures, like the one below. They are made up of different amounts of steel rods that clang together to make a somewhat magical sound. It brings me back to the days when I worked at the Cranbrook Art Museum, where they had a huge Bertoia, and I would have to don white gloves to play it for the visitors! Brent is quite an avid reader, when they moved from California to Minnesota, they had over 15,000 pounds of books! He reads over 1000 pages per month! Brent also enjoys his Bourbon, which he will happily share with any nervous “groom to be” that stops in looking for an engagement ring. And Catherine believes that champagne should not only be saved for special occasions, she feels it should be enjoyed in the same way you would drink a glass of wine. As a champagne lover myself, I completely agree with her! You can just tell that this couple really enjoys what they do and that they are going to take care of you right when you walk in the door. I will end with a quote from Catherine, via her mom, via Maya Angelou “people will forget what you said, people will forget what you did, but people will never forget how you made them feel.” Think on that for a moment. Justin & Mary’s What’s Next Tour!